Grab a bite to eat at one of the hotel's 2 restaurants, or stay in and take advantage of the room service (during limited hours). Snacks are also available at the coffee shop/café. Need to unwind? Take a break with a tasty beverage at one of the 2 bars/lounges. Full breakfasts are available for a fee. 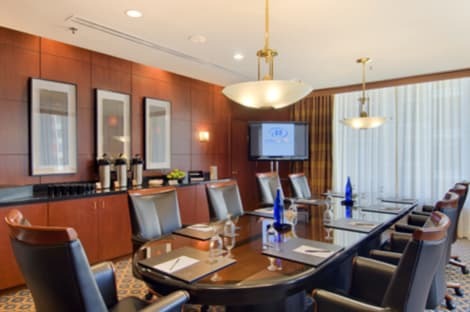 The hotel has a good location within the city close to the Museum Campus, Grant Park, Millinnium Park and the McCormick Place Convention Center. Another amenity of the property is the fitness center. With a stay at Claridge House, you'll be centrally located in Chicago, a 8-minute walk from Newberry Library and 11 minutes by foot from International Museum of Surgical Science. This 4-star hotel is 0.9 mi (1.4 km) from Water Tower Place and 2.7 mi (4.3 km) from Navy Pier.